Rekindle your love & Book a romantic dinner date. 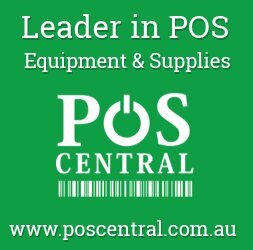 Valentines Day is around the corner and everyone is feeling the love in the air!! It’s the season of love; it’s the season of togetherness and the moment to cherish the beautiful bond between you and your loved one. So this Valentine’s Day Aira’s Everlasting Production Presents Valentine’s Dinner & Dance party. This Valentine Dinner & Dance party is going to be one EPIC day of your life with this most romantic and memorable Valentine’s party. Groove to the Live singing performance of Rj Jazib Sufyan Khan for the first half of the show. Treat your valentine with an amazing dinner at the party. After dinner, dance floor will be opened for the next half of the show. Live broadcasting at Dil Parivar Television Station. RJ Navnith is doing MC of this show. We hope to see you there! ! Our party is open to all who love to have a good time. Bring your valentine along as you’re in for a time to remember. 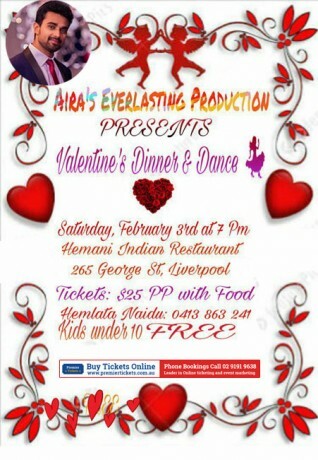 Premier Tickets Australia is proud to be the online ticketing partner for Valentine’s Dinner & Dance Party @ Hemani Indian Restaurant.